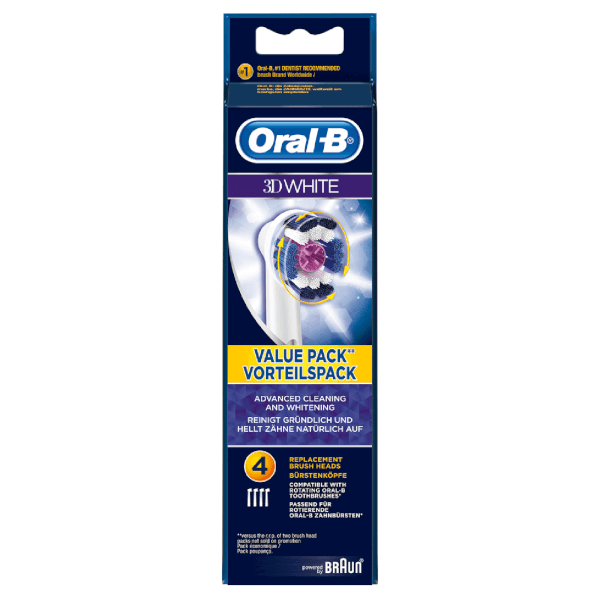 Achieve a naturally whiter smile with the Oral-B Pro White Toothbrush Head Refills. 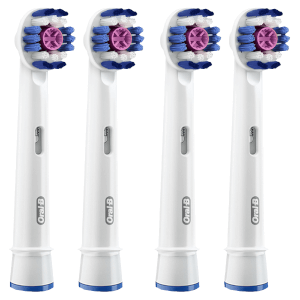 Features outer bristles that surround each tooth for thorough cleaning and a dentist-inspired polishing cup, which holds the toothpaste to remove surface stains and reveal brighter teeth. 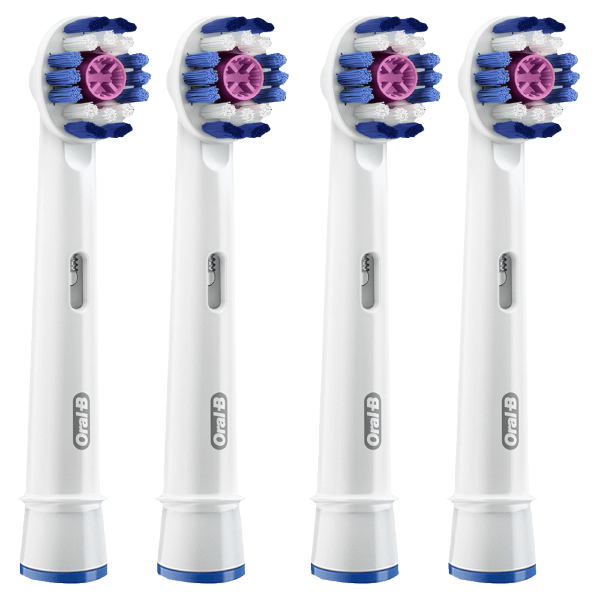 Please Note: Fits all rotating Oral-B rechargeable toothbrushes (except pulsonic). For best results, dentists recommend changing your brush head every three months.